This week, Instagram unveiled its newest project Hyperlapse, an app designed to capture high-quality time lapse videos in an easy to use format. With more than 40,000 uses of #hyperlapse on Instagram at press time and counting, it’s no surprise to see early adopters from major brands, to TV shows, celebrities, and more. Wondering how you can tap into Hyperlapse? Check out five examples of how it’s currently being used as a social media storytelling tool. Instead of using a still image, consider mixing in quick time lapse videos with Hyperlapse like Mercedes-Benz USA did to show off your product. In this simple, yet effective video, Mercedes- Benz USA used the time lapse features of the app to show a quick pan around view its CLA250. Ending with what looks like a quick push from the rear, the car leaps forward. The end result is more fun and playful than a traditional image of the car. Behind-the-scenes content can be great way to boost engagement or show the more personal side of your company or brand. As seen in the video below, Georgetown Athletics is using Hyperlapse to offer a glimpse into its University soccer team practicing for the season opener. The time lapse capability is clearly a huge win for sports and athletic apparel brands, but it also provides the university with a much more engaging way to remind students and fans of the upcoming season opener. For other companies, the behind-the-scenes video could be someone assembling your product, setting up an event, having fun at the office, or even employees teaming up for a community volunteer day. It’s always fun to co-create content with fans and Oreo is a brand that does this exceptionally well. To bring its #MiniDelivery program to life, Oreo is using Hyperlapse to share video content from the brand, but the company is also sharing videos from fans who received the special deliveries. The example below from fan @ashleighmn allows other fans to experience the special moment of unwrapping the cute mini package with her. Companies could consider integrating time lapse videos like this to help promote contest entries or show fans how they can submit content for a UGC campaign. Whether it’s your super cool office, the new collection on the showroom floor, a hotel property or travel destination, Hyperlapse was made for quickly touring a location. The Hard Rock Casino in Vancouver leveraged the app to take fans on a virtual tour of its casino, offering a glimpse into the scene and amenities found at the venue. While the video may be a little too fast for some, the idea of adding twists and turns to simulate a fast walk through an area is a cool idea. Plus, the different lights and colors from the venue and different slot machines add an unexpected but interesting element. Give fans a front row seat at your event by sharing quick Hyperlapse videos in real-time. The North Face recently shared this video of tons of people waiting in line for its Ultra-Trail du Mont-Blanc, a mountain race. The time lapse video capabilities are a nice compliment to a sheer volume of people waiting in line, adding to the excitement around the event. Events in general offer many content opportunities, so time lapse videos could easily supplement still images and traditional videos to capture behind-the-scenes and race day content. It would also be fun to see someone complete the event while recording their experience. In addition to these examples, there are tons of other ideas on how to use Hyperlapse. Search Instagram with #Hyperlapse to see how users and companies are leveraging the app. If you do test out Hyperlapse videos for your company, make sure to include #hyperlapse, as there is a lot of curiosity around the app now, making the content highly discoverable. 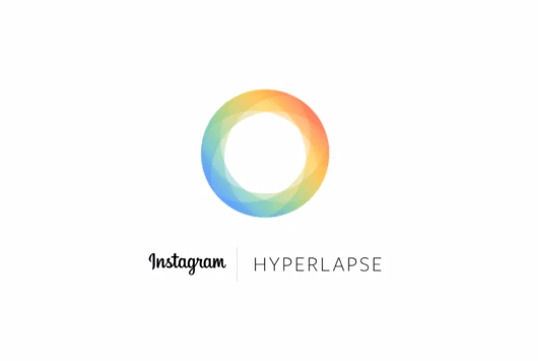 For more information on how to find and use Hyperlapse, visit Instagram’s blog.